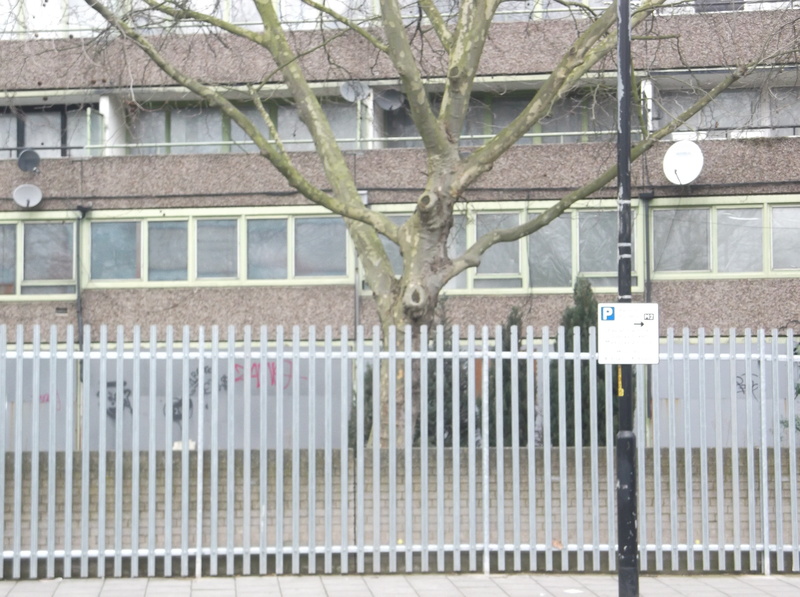 Southwark Council’s Siege Mentality: Fencing In Aylebury Estate Residents | Southwark Notes - whose regeneration? 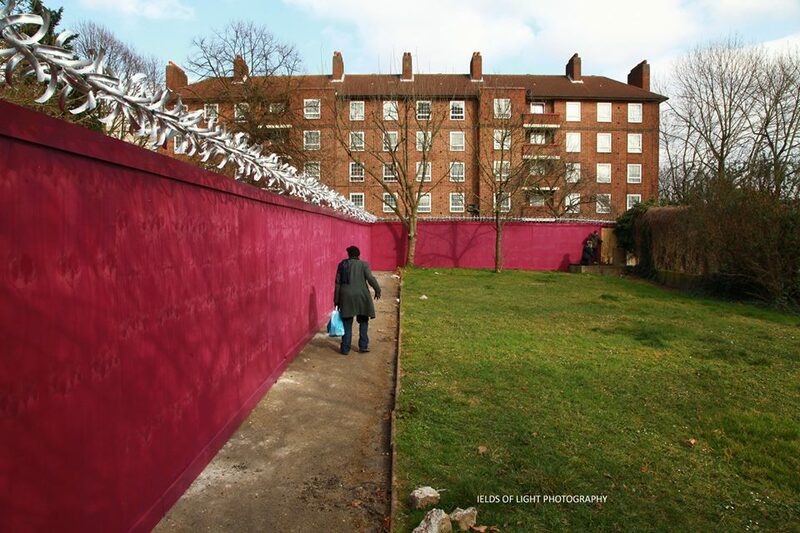 In November 2012, we helped put on a gathering against the gentrification of the area in Pembroke House, just off Aylesbury Estate. 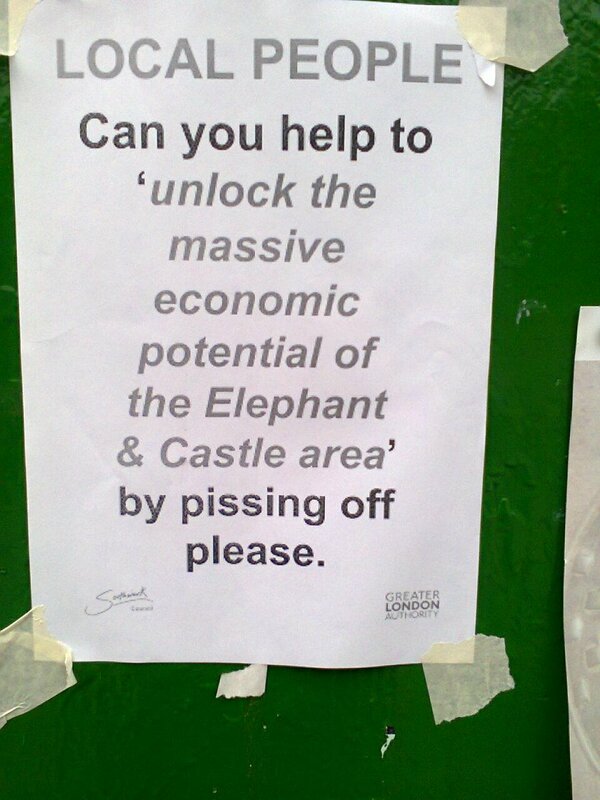 We called the event ‘The Siege of The Elephant‘ as we felt like we needed a provocative name to sum up how it feels to be regenerated and socially cleansed by Council regeneration programmes via global property corporations and major player Housing Associations. Our crystal ball however was not clear enough to actually help us see that the Council would in 2015 actually put it’s own rent and tax paying residents under actual siege by fencing them in and putting security at the gates. 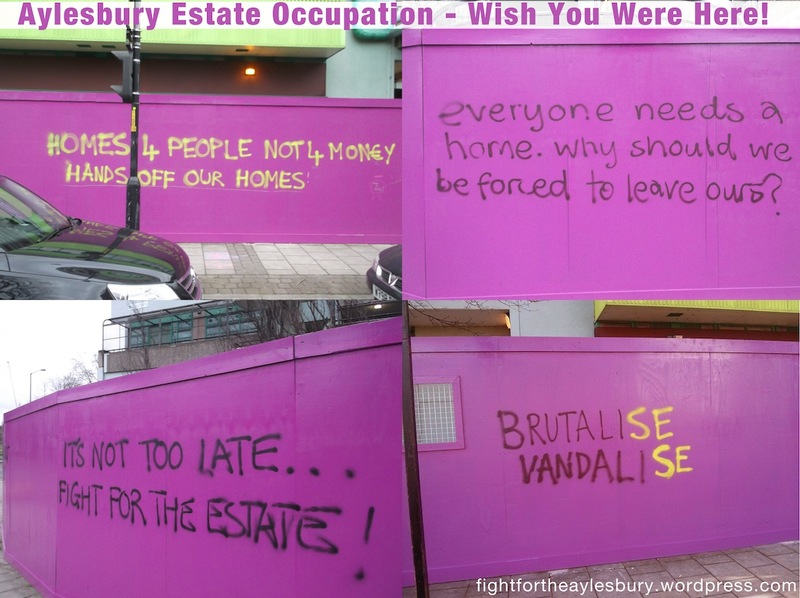 As you may know, the campaign on Aylesbury Estate has been somewhat dynamic once more since the occupation of a number of empty blocks on the estate by supporters of those tenants and residents who feel that the regeneration is only forcing them out of their much-loved homes. 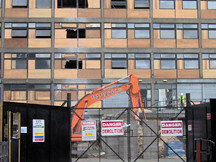 The taking up of the term ‘social cleansing’ by many local people reinforces the reality that people are wise to the fact that the replacement homes destined for the Aylesbury site are primarily private homes for the better off. 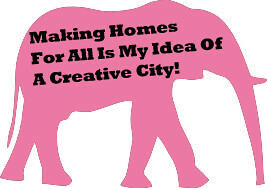 Not only that but replacement homes supposed to be for existing residents are likely to see a significant rise in rent. 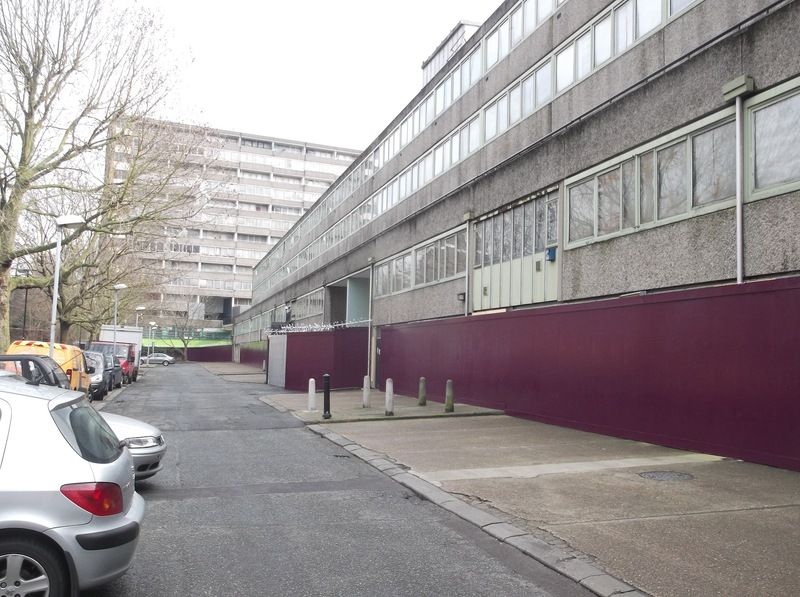 The occupation has been both a revitalisation of existing campaigns against demolition and displacement on the estate and also a solution for those in occupation’s housing needs. 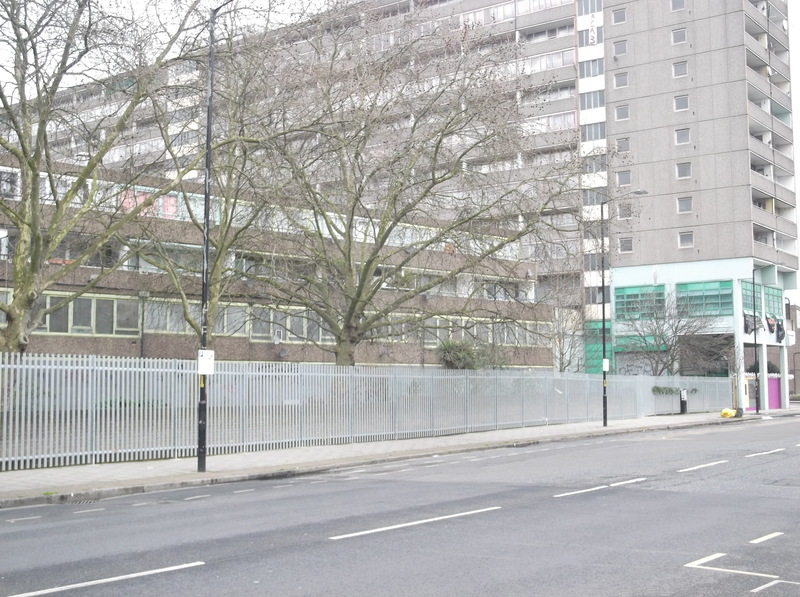 Since the end of January, there has been a mass of activity on and around the estate with street stalls, petitions, fun days on the estate hosted by the occupation, public meetings, protests and much banner making and many posters appearing all over the blocks. The occupation has always been one step ahead of the Council. 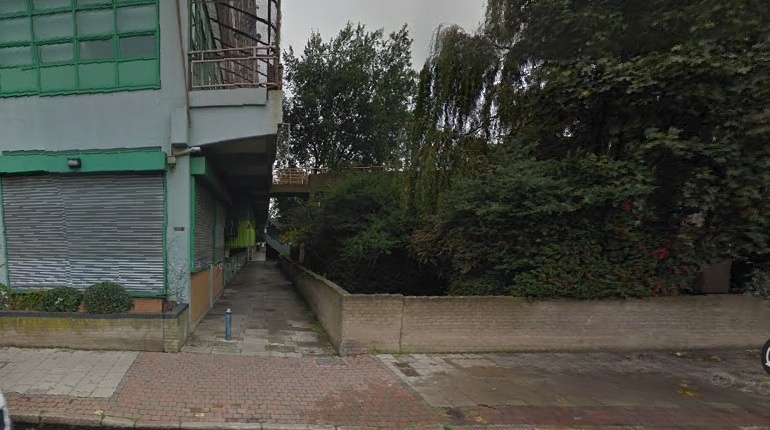 It has managed to keep occupying different blocks just as the Council wins legal possession of previously occupied blocks. 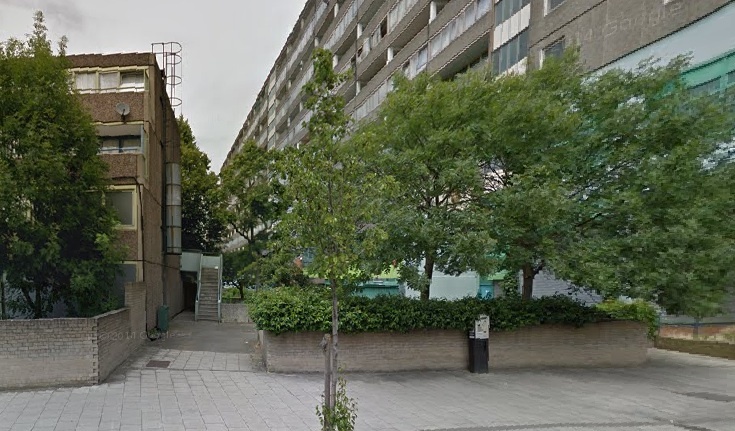 The Council’s response has been the usual wild behaviour – smashing up blocks to render them uninhabitable or having the police heavy handedly running wild on the estate. 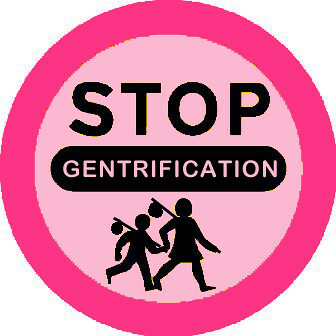 At no point does it try to be sensible, take stock of what it happening, ask the occupation what it’s all about or ask residents how they actually feel at this stage about the regeneration plans. 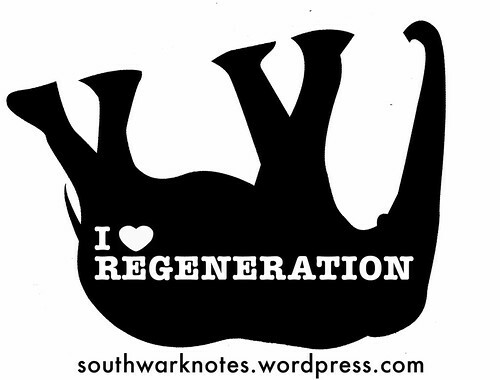 It acts as if all is great and good and anyone who disbelieves the ‘benefits for all’ regeneration mantra must be some kind of criminal outsider. 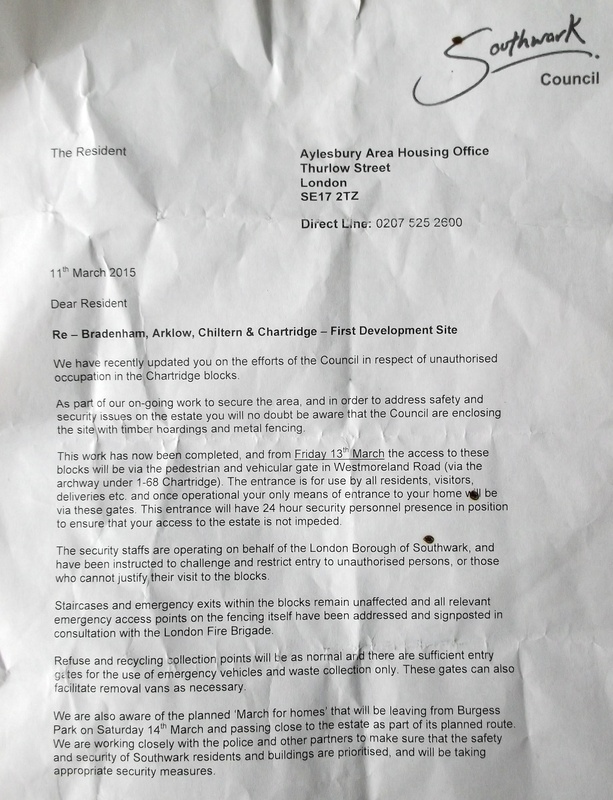 With the recent occupation of the old Planning and Regeneration Offices on Chiltern House, the Council has now began to take it out on the remaining residents of Chiltern, Bradenham and Chartridge Houses by literally sealing them off from the outside world. 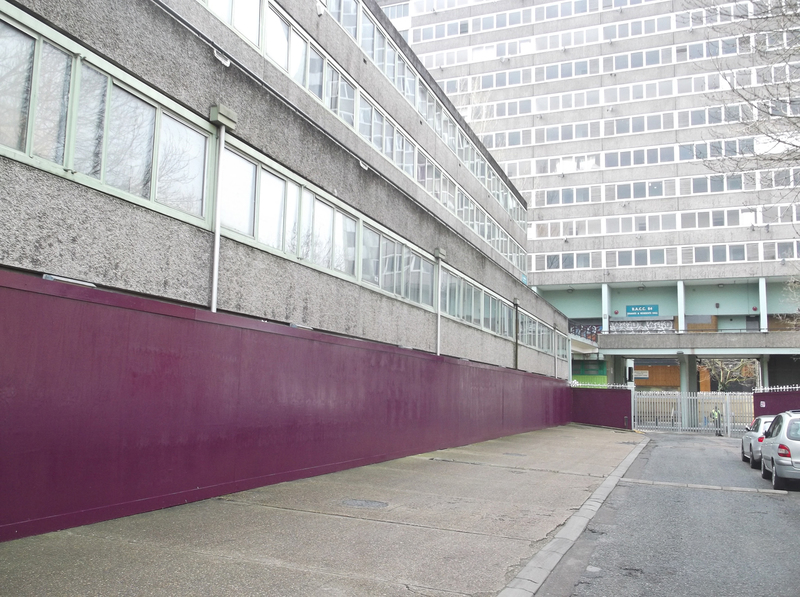 Unable to find any more money for elderly leaseholders whose Council’s low valuations of their homes will force them out of the area, there is however a bottomless pit of money for fences and 24 hour security. The bill must be £1000’s per day. 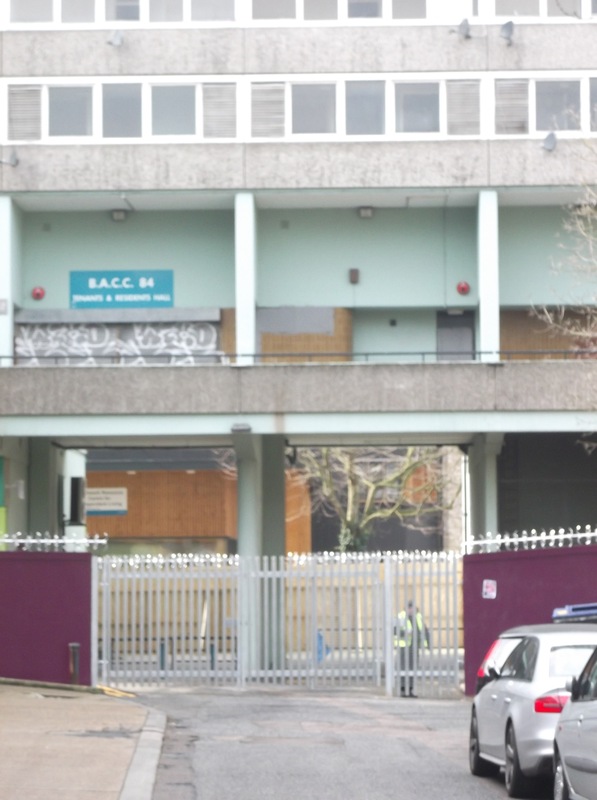 We presume from our acquaintance with Council mentalities that the erection of hoardings and metal fences was meant to both deter any further occupations on Aylesbury and also to piss residents off hoping they would lay the blame at the occupations door. Some tenants fenced in speak little to no English. Today we facilitate a translated meeting so we can organize across language barriers! Needless to say, the occupation has so far proven itself on it’s determination to maintain it’s political occupation, work with the residents and a series of fences is not going to stop it. Needless to say again, residents are seriously pissed off at the Council for aggressively fencing them in. For many the first they heard of it was when the Council put through their letterboxes a letter telling them how it was going to be. So now instead of having free roam in and out of the place where they live, they are now directed to one gate which will now be ‘the only means of entrance to your home‘. The letter says this purpose is to ‘restrict entry to unauthorised persons‘. The Council seems to forget that maybe living where you live amongst public land, green spaces with trees and also a children’s playground, that maybe you would actually like members of the public to enjoy these facilities so that where you live is not devoid of other members of your community. The estate is still public land with public rights of way. It was up until the fencing in, the way and short cuts that loads of Aylesbury and non-Aylesbury residents used to move around where they live. It was a quiet place to sit or walk the dog, meet people and so on. But none of this seems to matter to the Council who have little actual respect for those it has fenced in. As we always say, people subject to the regime of regeneration always ends up being treated like criminals because they are in the way of the plans even if they are just going about their daily lives. 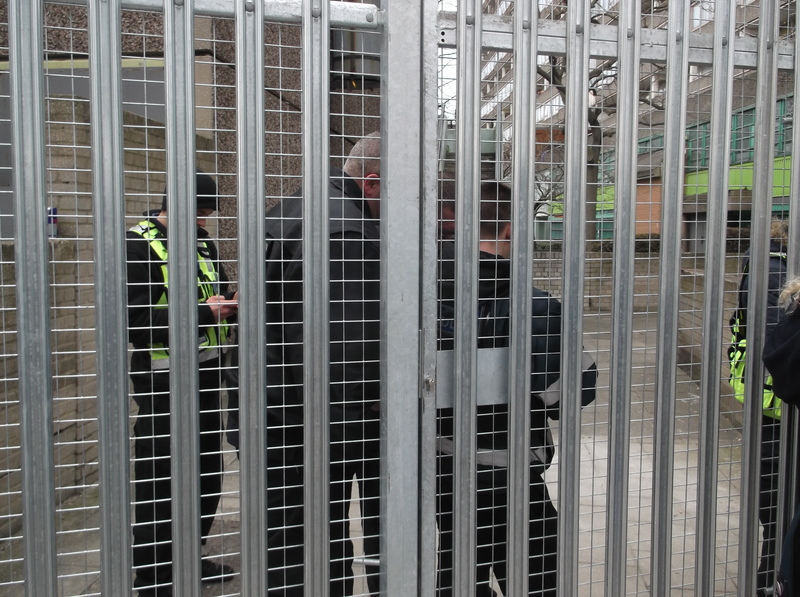 On Saturday 14th, after the March for the Aylesbury we witnessed a mother and her two children being refused exit from the estate at one of the Albany Rd gates as she was told she had to use the gates by Westmoreland Rd. 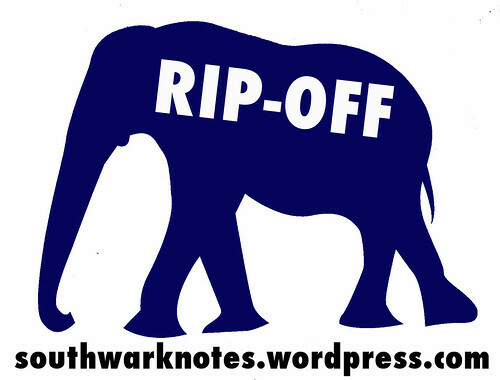 We often wonder if the Council is seriously losing the plot but then we realise once more that this is Standard Operating Procedure for them – insensitive, arrogant and without care to actually ask residents what they need. Not only though do they act aggressively towards those in it’s actual care (if we can put it in this manner), they also seem very forgetful of their own cruel behaviour. 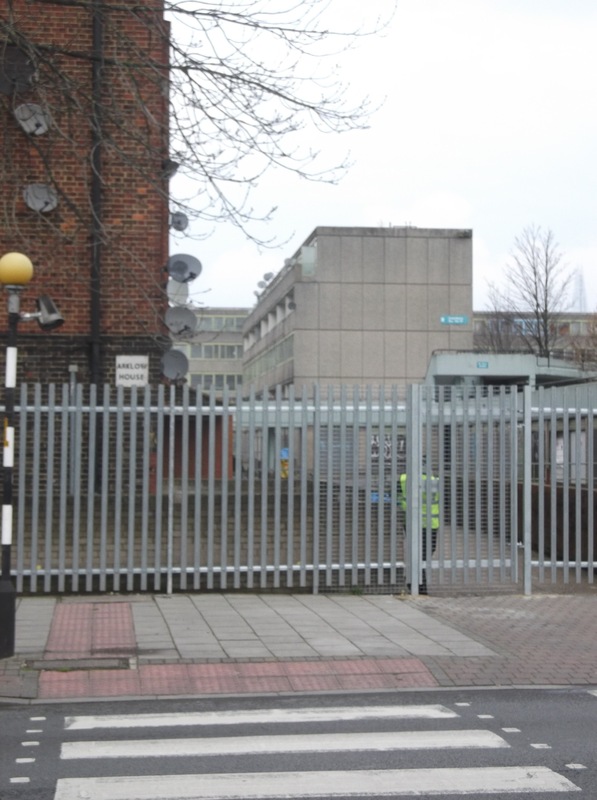 Despite pleas by them that the regeneration of the Aylesbury will not be ‘another Heygate‘, the fences are a repeat of the last few months on Heygate when leaseholders were also fenced in and at the whims of security guards. They also don’t even seem to know that on Feb 5th they carried out an operation on Chartridge House Nos 69-76 where they got contractors in to smash up the flats to prevent the occupation from spreading there. In a recent freedom of information request when asked for ‘financial cost of the work undertaken‘ that night on Aylesbury, the Council had to ask ‘could I please ask you to clarify ‘the work’ that took place in respect of 5th February‘. 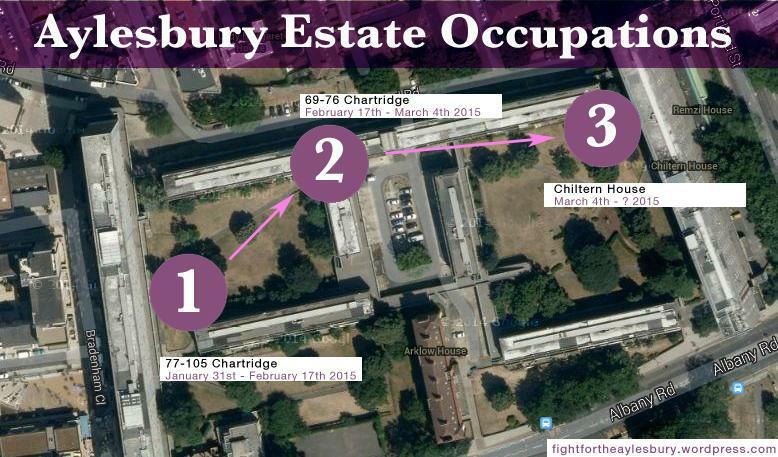 When reminded of the works that had been extensively reported, photographed, filmed and criticised all over the place, they replied that ‘the Council is not aware of any work undertaken with the aid of the police on the 5th February 2015 on the Aylesbury Estate – Chartridge‘. 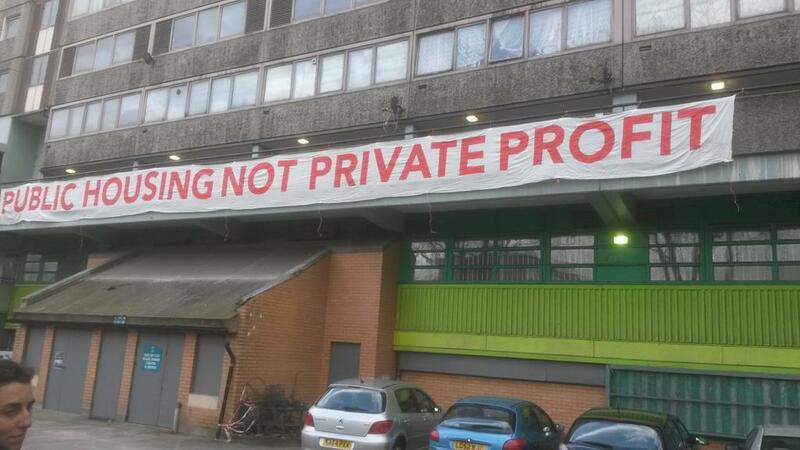 Depressingly none of this surprises us, the occupiers or the residents of the Aylesbury estate. We have been reminded over the last two months just how out of touch, hidden away and closeted they are from actual lived realities of those who live on the estates. Now they even want to hide us from public view behind fences. Any road up, we hope the fences will be challenged by all concerned over their dubious legality as so far we have not been able to ascertain under which laws, permission or orders the Council is able to turn this part of the estate into an open prison for its residents and a no-go area for the local public. 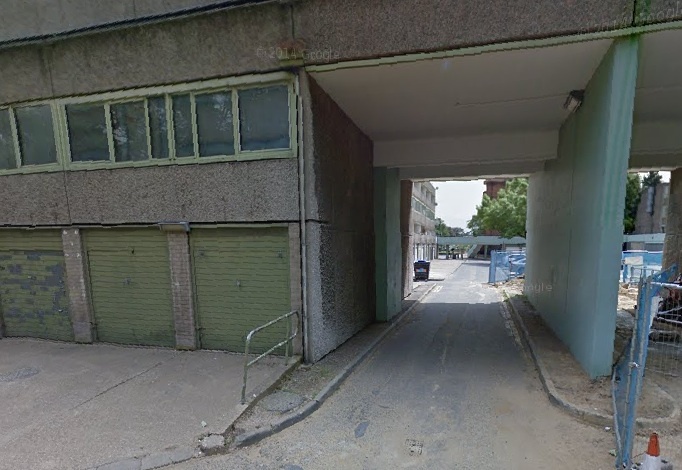 In a response from Mark Williams, Cabinet Member for Regeneration to an article in the Standard, Williams makes the illogical statement that residents asked to be fencing in to stop anti-social behaviour on the estate. The residents are quoted directly before this statement as saying they are all ‘unhappy‘ about being fenced in. 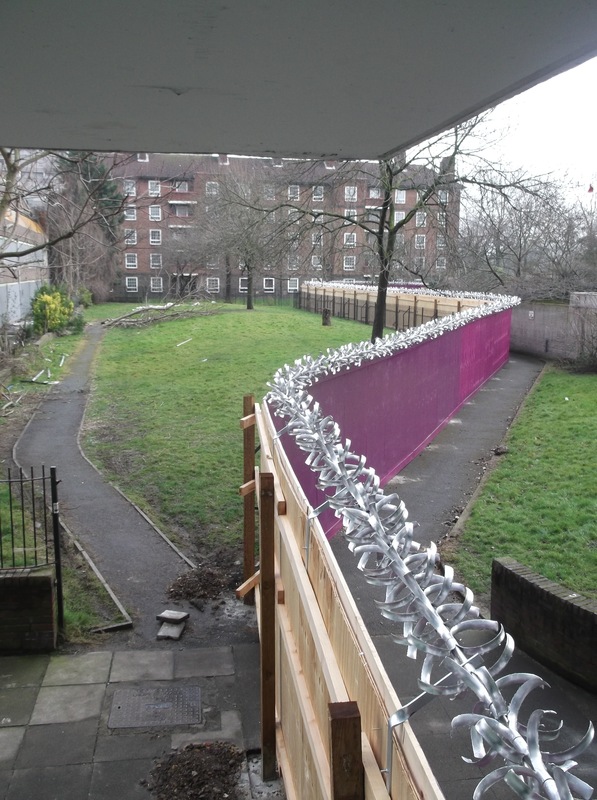 Did Williams make up this claim that residents asked for the fence to be erected? It certainly bears no likeness to what we’ve been hearing residents say since Saturday! 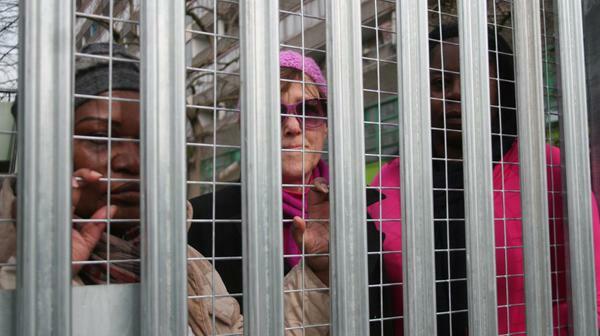 More fences are currently being put up today at the Bail Hostel entrance by Bradenham to stop the occupiers and their supporters being able to come and go.